Flying Books House, 9781943345175, 254pp. 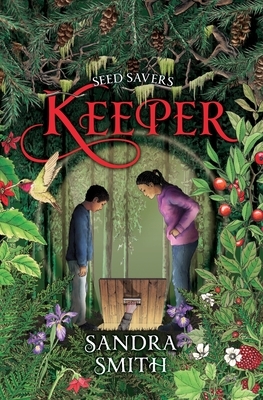 Beginning in a Pacific Islander village of climate refugees hidden deep in the Smoky Mountains and ending in an underground bunker in Portland's Forest Park, Keeper is the fast-paced fourth installment in the Seed Savers series. In Keeper, GRIM appears to be crumbling only to be replaced by FRND (the Food Resources & Nutrition Department), a corporate sponsored program with a more friendly public face. The Seed Savers Movement is on the verge of splintering as James Gardener's fugitive status is viewed by some as a liability, while others don't trust the mysterious JALIL. Trinia Nelson is bent on finding James and will stop at nothing. Earth Day parades turn into protests and someone is leaking classified government documents.